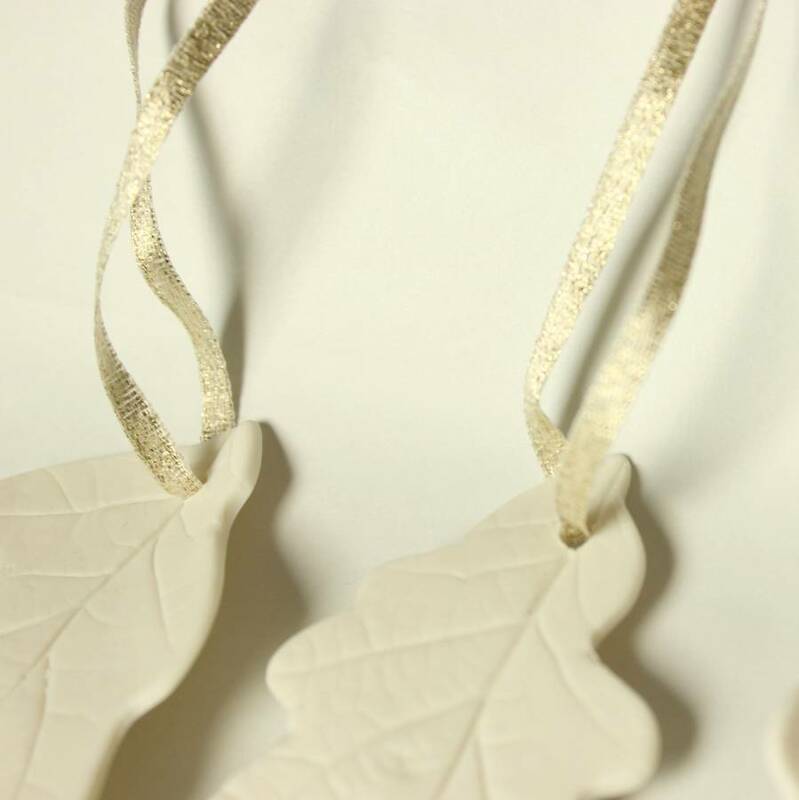 Set of three Individual hanging porcelain oak leaves. 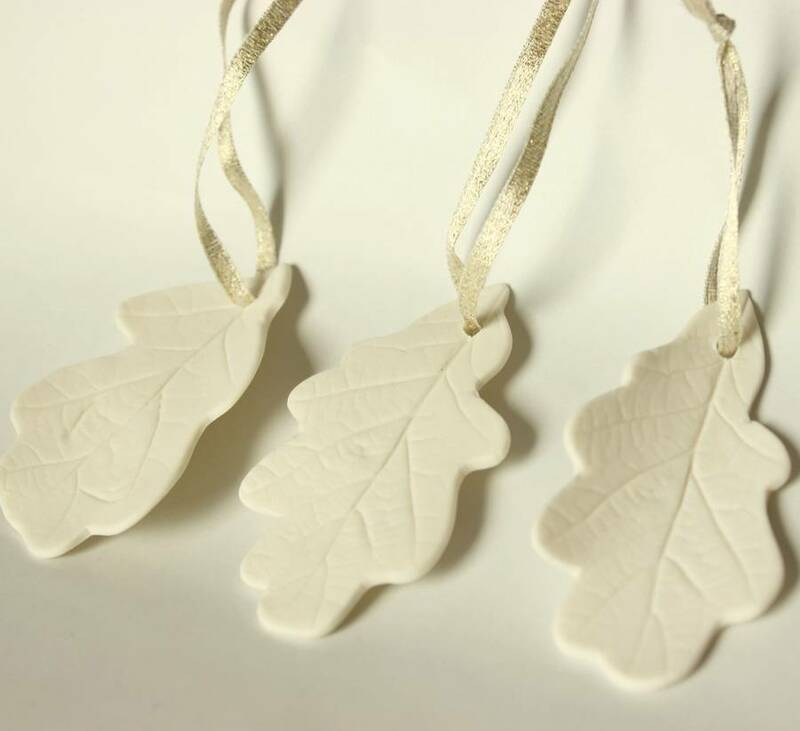 Set of three Individual hanging porcelain oak leaves. 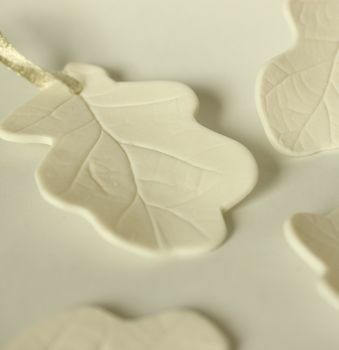 All leaves are made by hand so they will differ slightly, this adds to their charm. Made from thin high fired porcelain clay they are actually quite hard wearing. 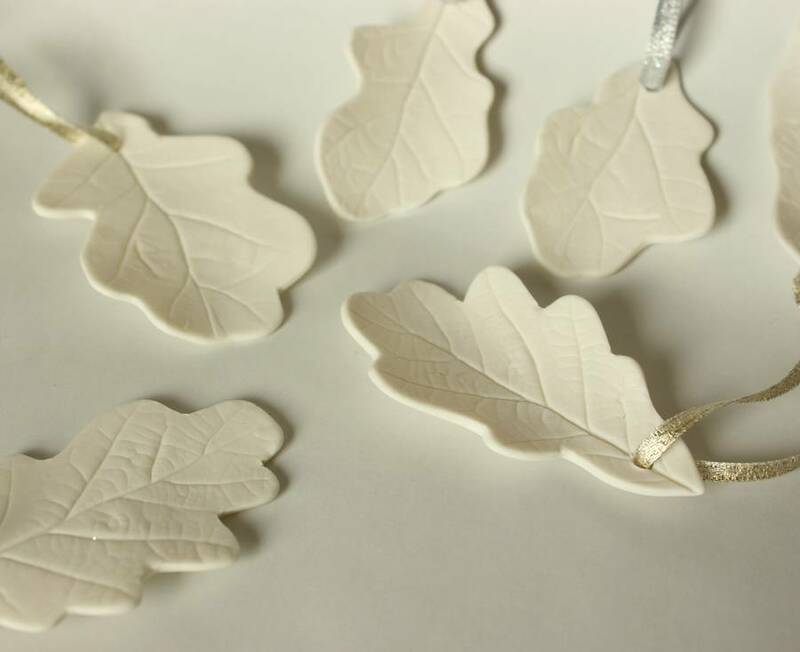 Would look great hanging on a wall or maybe on your tree at Christmas. Choose the colour of the hanging ribbon on checkout. Gold or silver. This product is dispatched to you by Lauren Denney.